NEW EURMASK® is a one-size-fits-all half mask carrying two filter threads ideal for the protection against dusts, organic and inorganic gases, acids and combinations of gases and dusts. Its best use is in wood work, stone and marble carving, spray painting and painting, grinding, D.I.Y., pesticides, smoke, welding, etc. Thanks to a soft TPE rubber seal this masks adapts well to the face contour while two rigid threads support the filters. 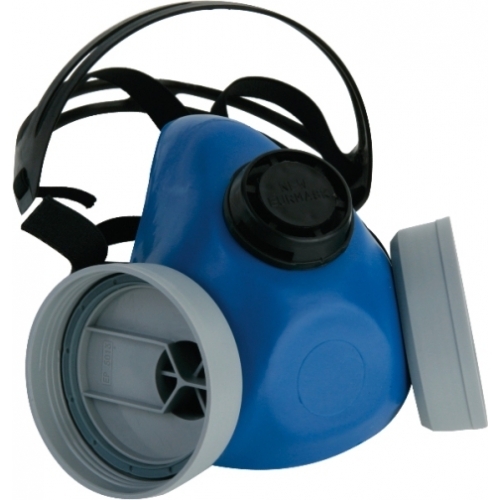 The silicon expiration/exhalation valve is mounted on a highly resistant plastic base and protected by a cover. The half mask NEW EURMASK® can be used with the filters EURFILTER®.